Two Caribbean cricketers, Kieron Pollard and Dwayne Smith, played crucial roles in powering their team, the Mumbai Indians, to its first-ever win of the IPL trophy, with Pollard himself, grabbing the Man-of-the-Match award in Sundayâs final. In the process they outshone such established stars on their own team as Sachin Tendulkar and Ricky Ponting, both of whom ended as spectators in the latter stages of the competition. Both scored over 400 runs in the competition, at impressive strike rates, Pollard at just under 150, and Smith at 122, to go along with spectacular fielding and useful contributions with the ball. Overall, the big-hitting Chris Gayle was the dominant batsman, rattling up 708 runs, to be just pipped by Australiaâs Mike Hussey for the top-scorer award. Gayleâs strike rate of 156 was only exceeded among major batsmen by the South African pair of David Miller and A.B. de Villiers, but he had the highest score of an unbeaten 175, during which he smashed the most sixes in an innings, 17, which contributed to his record 51 sixes in the competition. The newly-appointed West Indies ODI captain, Dwayne Bravo, was also a major player in the IPL, his 32 wickets being the highest and enabling his team, Chennai super Kinks, to reach the final and attain the runner-up spot. Bravo took the most catches, fourteen, two more than Pollard with 12. His West Indies team-mate, and fellow skipper, Darren Sammy, made his mark in his first IPL outing, his 174 runs at a strike-rate of 131, 8 wickets, and excellent fielding, inspiring his team, the debutant Sunrisers Hyderabad, to a surprising play-off place. 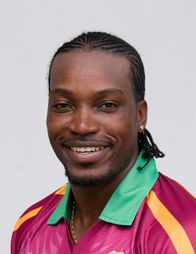 Other more-than-useful performances came from the âTriniâ trio of Sunil Narine, Kevon Cooper and Ravi Rampaul, with 22, 19 and 13 wickets respectively, but injury curtailed the season of Marlon Samuels, while Andre Russell and Jason Holder had only limited appearances, and Samuel Badreeâs solitary game was at least one more than Chris Barnwell was afforded. Hopes are high that the good form and experience gained would now be applied to the West Indies quest of the Champions Trophy in less than a fortnightâs time.